It’s a common scenario. You buy a great cine zoom and find it excellent in narrative and other controlled environments, but when it comes to the unpredictable world of documentary shoots things start to go downhill. 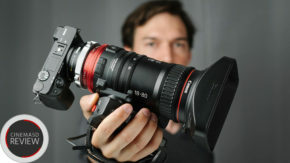 Having to reach for the cine lens zoom ring while taking your hand out of position on the shoulder rig is a recipe for disaster when it comes to following quick unpredictable action. Oh, and forget about zooming and focusing at the same time with a shouldered camera that doesn’t have a servo. Chrosziel has developed a solution. 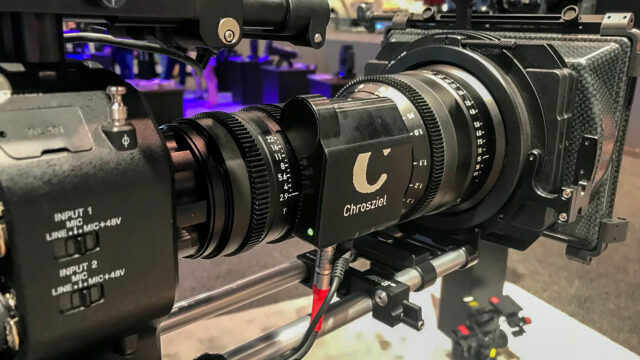 The Chrosziel Compact Zoom Control Kit, powered by D-Tap and controlled through LANC connections, converts your FUJINON MK (18-55 and 50-135mm) or ZEISS LWZ 3.0 lens into something more akin to the pricier 19-90 FUJINON Cabrio, or 17-120 Canon, at least in terms of operation. If you are using a ZEISS LWZ 3.0 lens, Chrosziel offers the CDM-LWZ3-Z zoom servo drive. 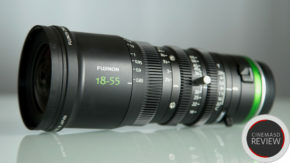 For those working with a 20-120mm FUJINON Cabrio the CDM-XK-Z zoom servo drive may come in handy. Calibration of the beginning and end points on the zoom ring are automatic once you’ve attached the device to the lens with four included screws. Installation is fast and it takes under a minute to affix the unit to the LWZ 3.0. Especially designed with the FS5 and FS7 in mind, the Zoom control kit has a very low profile and doesn’t extend out from the lens to any great degree. It’s also light — weighing in an slightly over half a pound (0.65lb). I’ve seen attempts to add servo capabilities to cine lenses in the past and they’ve been much bulkier. 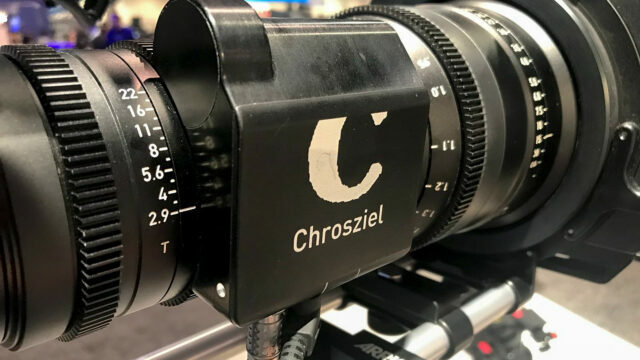 The Chrosziel team also mentioned at NAB that they are meeting with multiple lens manufacturers in a quest to bring their servo zoom kit to other cine lens brands. At a price point of $1726.00, this is a solution that seems well priced and dramatically expands the capabilities of your existing camera setup. The MK series zoom control kit is currently shipping and the kit for the Zeiss LWZ 3.0 is available for pre-order and shipping soon. More information on the Chrosziel Compact Zoom Control Kit is HERE.